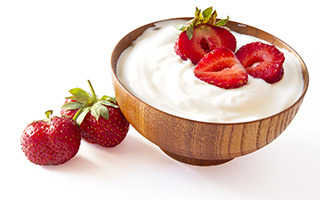 Just about everyone knows that yogurt is a milk product that contains beneficial bacteria called probiotics. We eat yogurt because we like the taste, because it's good for us, or both. It's an easy to find and easy to eat snack. Food engineers know this, they're constantly looking for ways to incorporate healthful ingredients in our foods. 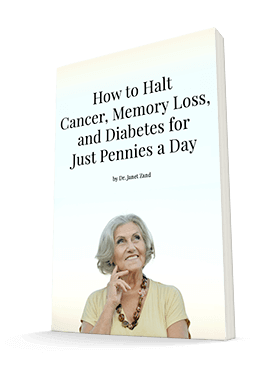 Even though millions of people still eat nutritionally deficient foods, healthful foods sell. And not everyone eats yogurt - some people are lactose intolerant, others are vegetarians, and others simply don't like the taste. But all of these people can still benefit from the beneficial probiotics found in yogurt. So now, a group of researchers in Spain is fermenting foods not with cow's milk, but with plant-based milks made from grains and nuts. A team of researchers from the Universitat Politecnica de Valencia worked at laboratories at the Institute of Food Engineering for Development to create products made with plant-based milks from almonds, oats, and hazelnuts. They're also considering using walnuts and chestnuts, as they move forward with the products. They conducted in-vitro studies and found that some of their new products have anti-inflammatory properties in the intestines, which can be beneficial for people with food allergies. They also can increase the bioavailability of iron. In many people, the caseins from cow's milk make it harder for the body to absorb iron. Researcher Chelo Gonzalez explained, "The results we have obtained also show that the 'milks' studied are a good matrix for the growth and viability of probiotic bacteria for the lifetime of the product, especially after their intake. Overall, the project results contribute to increased knowledge about the nutritional and health properties of vegetable milks, in view of future industrial applications to develop innovative quality products suitable for both the general public and for specific groups." Plant-based "milks" are also beneficial in that they are easier to store compared to cow's milk. And they avoid allergen and lifestyle choice issues that prevent many from consuming animal-based milk. Plant-based milk is full of healthy fatty acids and carbohydrates that are low on the glycemic index, making them a good choice for diabetics. They contain vitamins B and E, antioxidant compounds such as phytosterols and polyphenols, dietary fiber, and potassium. They're especially good for pregnant women, as they contain high levels of folic acid and a good ratio of calcium to phosphorus. Gonzalez notes, "This last property, together with the absence of lactose, milk protein, and gluten, are what makes these drinks good substitutes for cow's milk products." So look for foods made with fermented almonds, oats, and hazelnuts along with other unconventional raw materials. Just don't depend on food alone to be your only source of probiotics. Take a supplemental formula for three months or more each year to boost your beneficial bacteria. One that I like that is less expensive than similar products is Advanced Probiotic Formula from Advanced Bionutritionals. Asociación RUVID (2014, January 3). Alternative to yogurt. ScienceDaily. Retrieved January 6, 2014, from http://www.sciencedaily.com/releases/2014/01/140103085356.htm.